The commercial-focused H Street Corridor and the commercial office hub of NoMa are surrounded by dense residential neighborhoods like Near Northeast, Trinidad, and Stanton Park. These residential neighborhoods have a strong sense of community character. 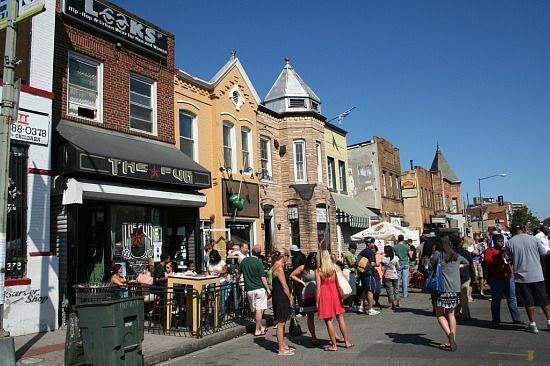 H Street is a set of east-west streets in several of the quadrants of Washington, D.C. 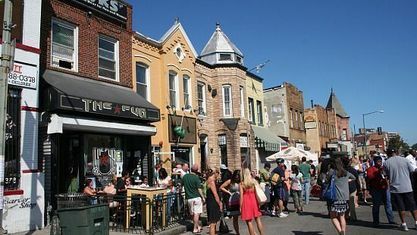 It is also used as an alternate name for the Near Northeast neighborhood, as H Street NW/NE is the neighborhood's main commercial strip. The H Street NE/NW neighborhood was one of Washington's earliest and busiest commercial districts, and was the location of the first Sears Roebuck store in Washington. H Street NE went into decline after World War II and businesses in the corridor were severely damaged during the1968 riots. This part of the street did not start to recover until the 21st century. Get to know H Street Corridor better with our featured images and videos.